Hand-poured 8oz natural soy wax candle. 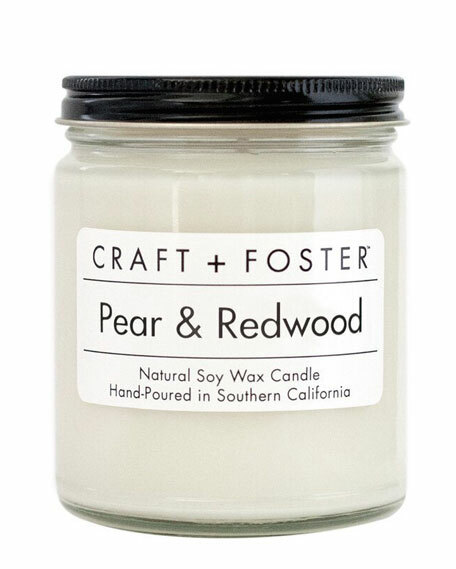 Made from USA-grown soy bean wax and premium fragrance oils (a blend of essential oils and fragrance oils). Burns clean 40-50 hours. A unique aroma of pear with a hint of raspberry, blended with notes of osmanthus, vanilla, cinnamon, and clove, on a base of redwood, cedarwood, sandalwood, and light musk. Middle Notes: Osmanthus, Vanilla, Cinnamon, and Clove. Base Notes: Redwood, Cedarwood, Sandalwood, and Musk. 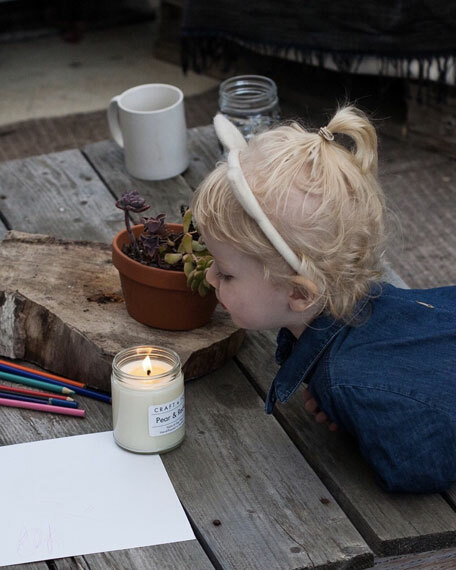 Soy wax is a natural, nontoxic product that requires no additives aside from the premium fragrance oils blended with it. A renewable, biodegradable, and carbon-neutral resource, soybeans also benefit the American agricultural economy.